← Next Session Of The Ladder – Nov. 14th: Baby Health And Medicine! 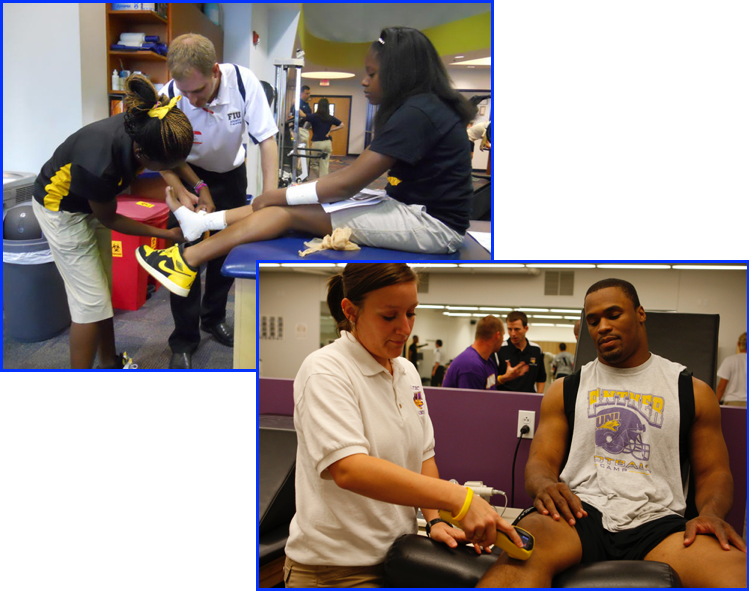 Join us Saturday, December 12th, for the next session of the Ladder where you’ll have the opportunity to learn about all things sports medicine. You’ll spend time with physicians and medical students who can help you get on the path to a career as a physician or other healthcare professional! So grab your teammates and join us for the next opportunity for medical fun and learning on Saturday December 12th at 12:30pm at the UROC building (2001 Plymouth Ave N, Minneapolis) – lunch will be provided! The UROC building is reachable by Metro Transit bus routes 19, 32 & 7. The Ladder is a Society of Medical Scholars ages 9 to 99, , and was founded by physicians, medical students and other health care professionals associated with Broadway Family Medicine and the University of Minnesota North Memorial Family Medicine Residency Program. Ladder meetings are every second Saturday of the month. This entry was posted in upcoming meetings and tagged North Memorial Family Medicine Residency Program, North Minneapolis, sports medicine, The Ladder. Bookmark the permalink.